Psychologists have long understood that people respond to rewards. If management makes a point of counting the number of pages in each design document an engineer produces, be prepared to have very thick documents with little or no substance. The the point that Project Manager (and any other manager for that matter) need to learn is to be sure to reward actions that contribute to the progress of a project (or organization). The Project Manager must continuously focus upon the goal of finishing the project. If some action doesn’t help you finish the project, don’t do it. Rewards can be as simple as a “good job” memo after a presentation or recognition at a project meeting. There is much debate on whether you should reward individuals or teams. The question I always ask in return is what behavior do you want? If your reward structure is overwhelmingly given to individuals, then you get individuals trying to maximize their individual credit to maximize their individual reward instead of the group goal. You disagree? 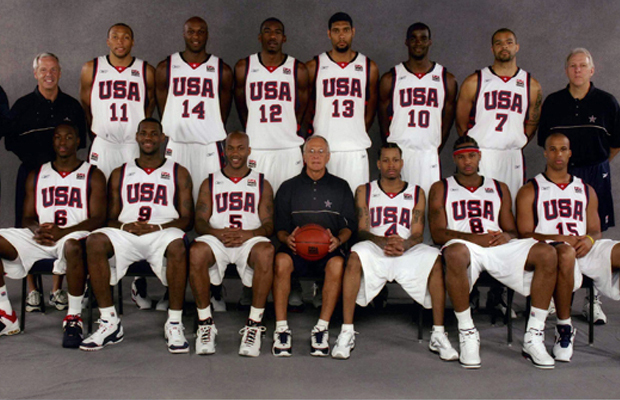 What about the NBA dream team at the 2004 Olympics that lost three games? It was a collection of NBA all stars who couldn’t (wouldn’t?) work together. This is a common theme in Sports  and also occurs in business. I’m not saying that you shouldn’t reward individual accomplishment. Individuals do make a difference. Just make sure that the individual rewards are not out of balance with the team awards. So it is important to communicate that even the lowest level person’s contribution is important to the success of the project. If the recognition is going to a chosen few “top performers” be prepared for individual actions that increase an individuals reward while destroying teamwork. I’d rather have a team of average people enthusiastically working together toward a goal, than a team of the best who don’t work together. It’s important to find ways to reward actions which contribute to the progress of the project. People enjoy being recognized for their work. Build into the project ways of publicly praising individual staff members and also the accomplishments of groups. I’ll be back soon with more. Remember that the cleanliness of theory is no match for the clutter of reality.